On Emily’s sixteenth birthday, she discovers a letter that tells of her long-lost father, who not only wants her back but is also filthy rich! Tensions between her and her mother were never very good, and with this letter, they escalate to where Emily moves out for the summer to her new/old family – at their opulent summer home. 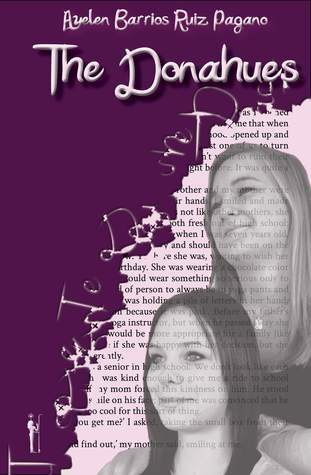 Find out how Emily wrestles with her feelings, finds love and balances her two families in “The Donahues”. I thought the story concept was a good one and dealt with the normal teenage angst and issues. Although for Emily there was much more to cope with than crushes on boys and school. The characterisations and interactions were good and it was interesting to see how Emily dealt with the shock of finding out she was adopted. That would be enough to deal with at any age but to find out on her 16th birthday sends Emily into a tailspin. I liked the banter and the teasing relationship between Emily and her brother but otherwise I found it difficult to really connect with her. She gave the impression of being quite self-centred and a wee bit calculating and I thought she treated Stephen poorly considering he was supposed to be her best friend. In some passages the writing tended not to flow as well as in other parts and some of the dialogue was a little formal and didn’t quite ring true for 16 year olds. But it is an appealing and entertaining debut novel and shows much promise.